A fibre great for spinners and needle felters. 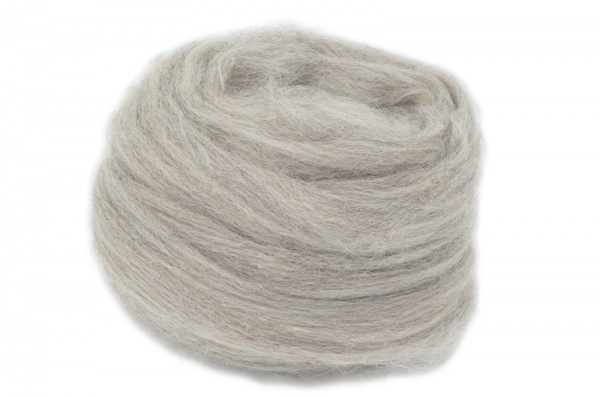 One of the classic fibres for handspinners. Shetland wools have always been appreciated for their durability combined with a nice handle. This is a natural shade of grey showing a slight hint of brown undertones in the current combing that we have on sale. There is always slight variations from each combed lot of fleeces and this one is particularly interesting. For needle felters of animals this is a good shade of grey possibly useful as a squirrel type shade.